Hi, when I open a compeleted PDF in Adobe and print it I get 0’s and 1’s instead of the text that was filled in. Sounds like a font compatibility issue. Change the PDF Form Field Font(s) to Arial to test. 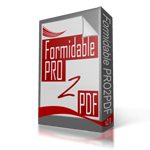 To update PDF form… Open original PDF Form, change font type, save with same file name as uploaded PDF – then upload to PRO2PDF to overwrite the existing PDF form… mapped fields will not be effected and the field map layout will work without further edits. Let us know if the font was the issue, or if you require further assistance.